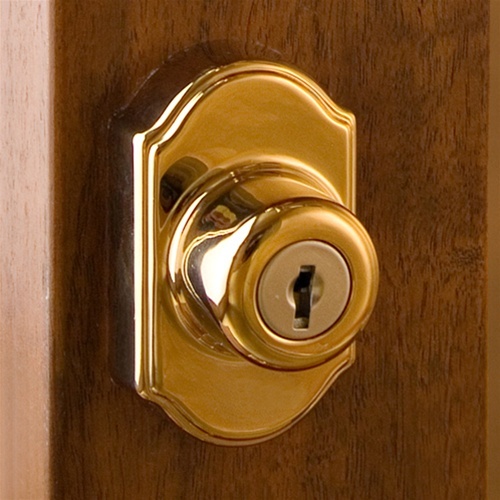 Storm Door Keyed Deadbolt Set | Normandy Bright Brass | Free Shipping! This is the deadbolt portion only from our popular Normandy Bright Brass Surface Mount Lockset. 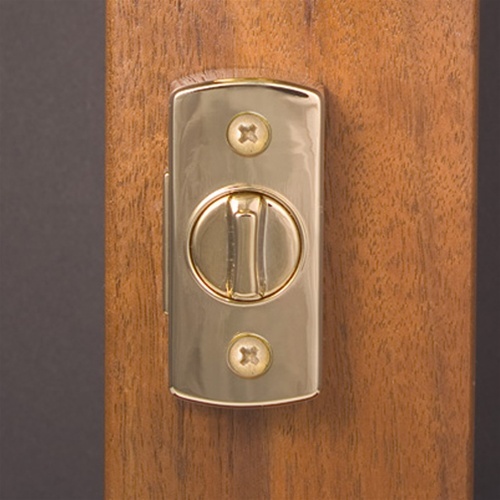 You'll receive the keyed outside deadbolt and the inside deadbolt mechanism with thumbturn for locking or unlocking the door. Strike and two keys are also included. Standard kit is designed to fit 1-1/8" to 1-3/8" thick storm doors. For a minimal upcharge, we can modify to fit some other door thicknesses. See the dropdown menu above for other size options.